We build tailored websites, webservices, portals and data systems. Airline Manager lets you create your very own airline, where you will be the manager in charge. Becomming a successfull airline manager is not an easy task. Many decisions must be made, and only the very best will have success. 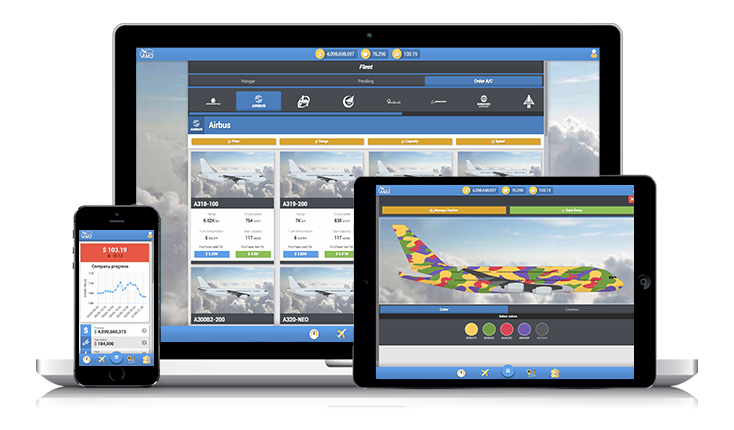 In Airline Manager 3 you will create and manage your own airline. You need to purchase aircraft, and choose between more than 400 different models. You need to create profitable routes from more than 4,000 real life airports. As an airline manager, you are also in charge of the appearance of your aircraft. By adding liveries to your aircraft, you can increase the passenger awareness. See your company stock value grow, as you make the right decisions. Do you have what it takes to own and operate an airline ? Welcome to a world of aviation, we are looking forward to seeing you in Airline Manager 3. You need to purchase new aircraft, create new routes, choose the seat configuration of your aircraft, perform maintenance, keep your staff happy and hire / fire staff, and much more. You may create real-life routes from more than 3,000 airports around the world. You have the unique oportunity to build an airline from scratch. Another approach to earn money is the stock market, where you may invest in other airlines, either owned by your friends, or by strangers. If you're interested in airlines or aircraft, this application is something for you. Welcome to a world of aviation, we are looking forward to seeing you in Airline Manager. 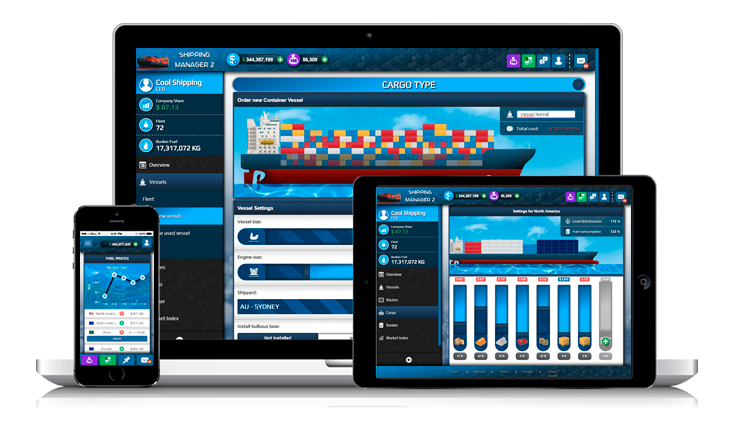 In Shipping Manager you start out by creating your own shipping company at the location you desire. Throughout the game you will need to make management decisions in order to see your company gain a profit. You will be the one in charge of purchasing new vessels, creating routes for them, negotiating contracts, assessing risks, and managing the staff. 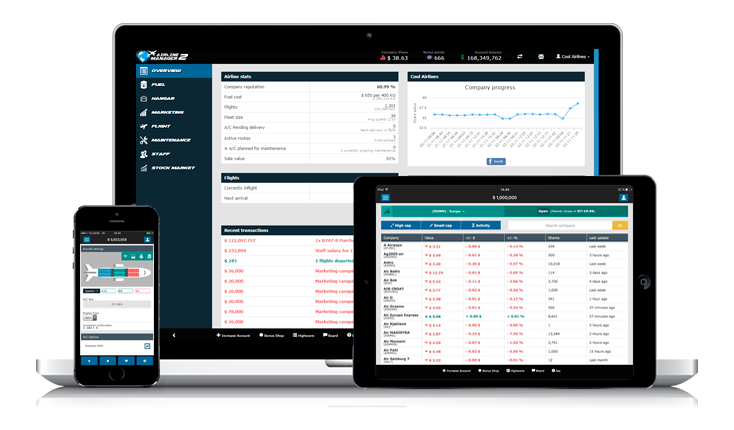 You will be able to see the share value of your company increase, as well as make well investments in other companies. You can compete with your friends and find out if you can be a better manager than they can. Do you have what it takes to run a billion dollar business ?